The name may sound like something out of science fiction, but this is the real deal. There are many ways we can make potent free radical scavengers, thanks to laboratory created compounds and fancy refining processes. But if you want to know what is the most powerful natural antioxidant, look no further. In fact, it exceeds every other fruit, food, and spice in existence. Even synthetically created antioxidant supplements – almost all of them – are blown away by the ORAC value of this red resin. Also called sangre de grado in Spanish, this tree is native to the northwestern part of South America, including the Amazon rainforest. 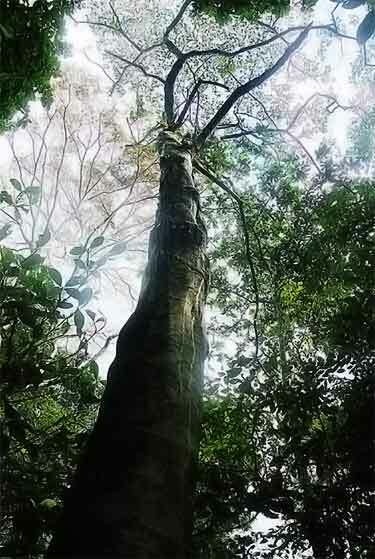 It grows up to 65 feet tall. The latex-like resin it produces has a very bitter taste. Its smell is similar to a strong Parmesan cheese. Most dragon blood supplements sold in the United States source it from this species. 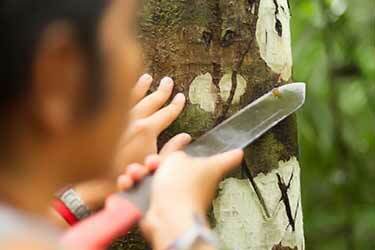 To harvest the “blood” one must cut the trunk of the tree. 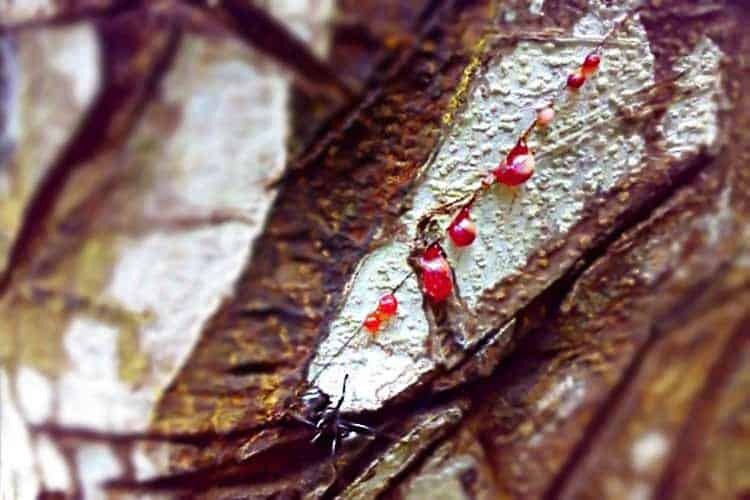 This results in an intensely red sap oozing out, which is collected and mainly used for herbal treatments. 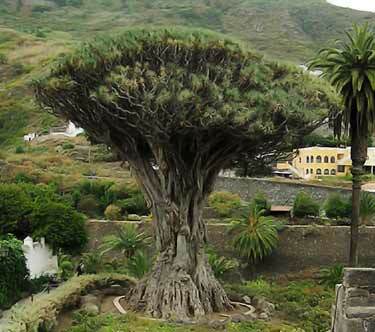 A very large Daemonorops draco dragon tree in the Canary Islands. Photo credit: Esculapio via Wikimedia Commons. Native to India, Indonesia, and Malaysia, where it can be found growing in moist lowland areas and reaching a mature height of around 40 feet. It is commonly referred to as dragon’s blood (1). The “blood” it produces if more of a reddish-orange color and comes from the fruit scales and leaf sheathes (Dictionary of Economic Plants, 2nd Edition). Its flavor is “brittle, feebly sweetish or almost tasteless and odorless” (Blumea, Volume 54, pp 39 – 43). Aside from medicine uses, it is used as a dye. Before being replaced by synthetics, stains and lacquers for violins commonly made use of it. 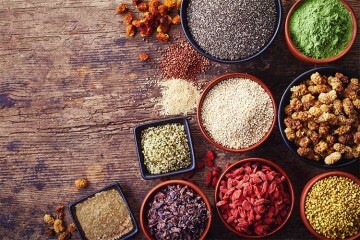 Throughout recorded history, both the South American and Asian tropical varieties have been used for herbal medicinal purposes in each of their respected regions. Bernabé Cobo was a Spanish missionary and author alive during the 1600’s. He recorded its widespread use among the indigenous people in Mexico, Ecuador, and Peru for various ailments (2). 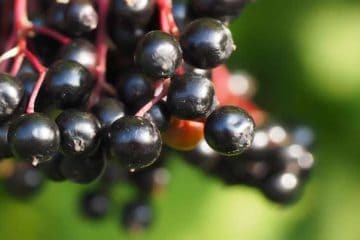 Even there today, it continues to be used as a form of liquid bandage, for soothing insect bites, as well as ingested for GI disorders like diarrhea. Over a dozen other species within the Croton and Daemonorops genus produce these red substances. Dracaena and Pterocarpus are two other plant genera which do as well. The species Calamus rotang found in India, Sri Lanka and Myanmar is another source. The name dragon blood is used for all of these, often without any distinction as to the species it is coming from. Those within the same genus will be similar in any therapeutic or nutritional value they may have (e.g. Croton lechleri and Croton erythrochilus). However the difference between the red resin coming from Croton versus Daemonorops will be significant. Each genus originate from opposite sides of the world. 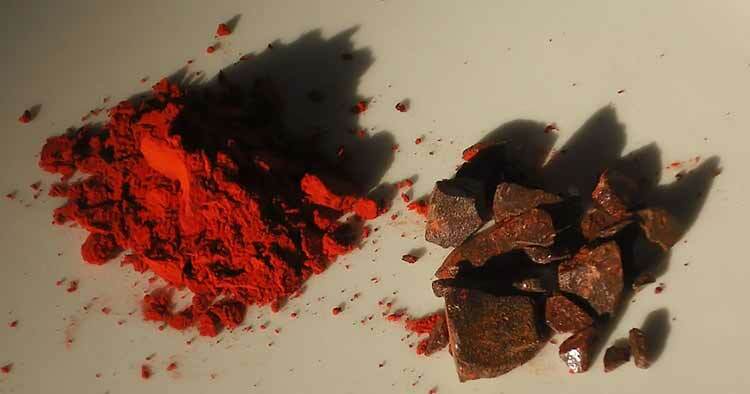 The Daemomorops draco is more used as a pigment and for making incense. Photo credit: Andy Dingley via Wikimedia Commons. The one which tests out for having shockingly high antioxidant activity is Croton (the South American tree). 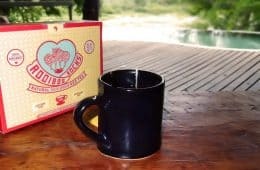 It’s also the one most hailed for medicinal advantages and we’re not just talking magic potions and lotions used by tribes. Previously known as Fulyzaq, the branded drug Mytesi (crofelemer) is a 125 mg delayed-release tablet for the treatment of non-infectious diarrhea in those with HIV. It was developed by Napo and Salix Pharmaceuticals and is derived from Croton lechleri dragon blood. Note that it is not FDA approved for any other purpose, which means Mytesi is not an approved anti-diarrheal drug for the common forms caused by food poisoning. The purported health benefits of dragon’s blood involving Daemonorops draco are much more limited. Externally, it has been used as an astringent and to stop cuts from bleeding. Internally, it has been used for menstrual discharge and for bleeding after childbirth. These are unproven remedies though. ORAC testing is the most extensive method for analyzing the antioxidant potency of a food or man-made substance. 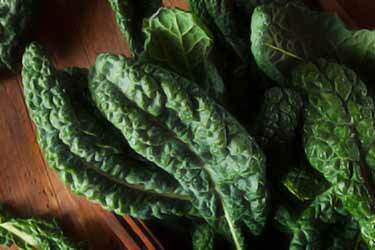 Raw green kale clocks in at around 1,770 when measuring 100 grams (that’s around 3.5 ounces). Using the same weight for average apples, the value is 2,828. So how does the “sangre de grado” coming from the South American Croton lechleri compare to these two superfoods? Just a single drop of dragon’s blood is equivalent to 2 lbs of raw kale or 3 apples worth of antioxidants. The C. lechleri tree sap is at least 800% more than the three runner-ups! Many spices rank high with sumac and cloves being the two best examples. Also known as the Indian gooseberry, amla are the best antioxidant fruit in the world. 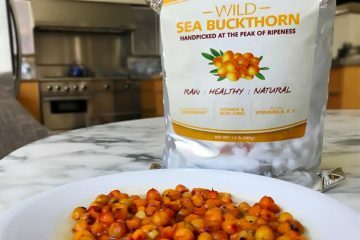 But they’re not to be confused with the dozens of other gooseberries throughout the world – including those in North America and Europe – which are entirely different species. 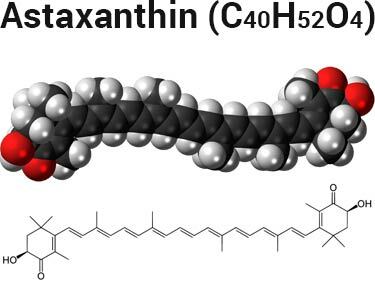 There is one other natural substance which gives the blood of the dragon a run for its money and that is astaxanthin. In its purified form it almost tests exactly the same at 2,822,200 – that’s only 2.6% less than the red tree resin, so it’s essentially equal. Astaxanthin sources are certain marine plants (or the specific fish which eat them) and since they need to be processed in order to concentrate the compound and obtain that ORAC, you can’t really call it a naturally occurring food. Is it safe to eat? That depends on your definition; it’s not exactly something you drink like a can of Coke. Its usage, both historically and currently, is primarily for its purported health advantages. Not as a drink, snack, or meal. In South America, it has been used for centuries. In Asia, Traditional Chinese Medicine (TCM) make use of it. Likewise for Ayurvedic medicine in India. For those uses, they do eat small quantities of it. 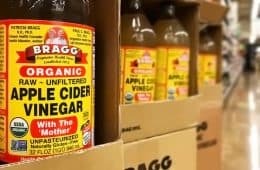 But just because something seems to have been safely consumed for generations, that does not guarantee it’s good for you. 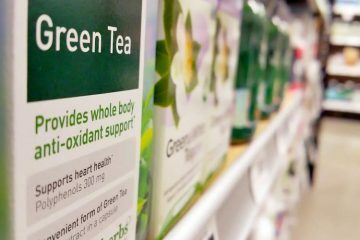 Wolters Kluwer Health, which publishes all sorts of medical information, has a database for healthcare professionals and researchers called Review of Natural Products. Drug Facts and Comparisons 4.0 (3). As of the 2004 edition, it says dragon’s blood has no major toxicities associated with it. That’s outdated by over a decade though, with not much news to report since then on that topic. Even as of today, it still hasn’t been studied in pregnant women or breastfeeding mothers. Since we don’t know if it’s safe during pregnancy, it’s definitely best to avoid during that time. But how about non-pregnant women and for men? There haven’t been clinical studies for those demographics, either. 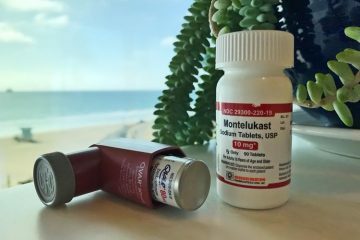 Perhaps the closest thing out there was the research done for the prescription medication Fulyzaq/Mytesi (crofelemer), which is made using Croton lechleri extract. With that medicine, the most common side effect reported was upper respiratory tract infection. Less common were gastrointestinal issues such as abdominal pain, pressure, and bleeding after defecation. However this medication is used to treat HIV patients experiencing non-infectious diarrhea, so the list of side effects associated may or may not translate to the general population. Plus, Fulyzaq or Mytesi is a processed form of the tree sap, it’s not the same as the raw supplements being sold over the counter. Without human clinical trials to evaluate if dragon’s blood is safe, it would be premature to make that call one way or the other. There was one concerning Petri dish study involving the use of dragon’s blood. When tested on two strains of Salmonella typhimurium bacteria, it was found to be mutagenic – meaning it caused physical and permanent damage to their DNA. 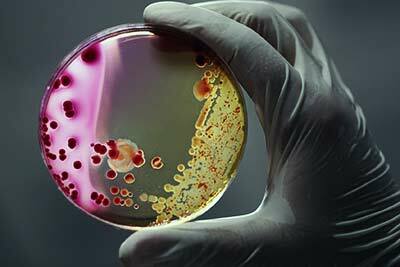 They saw the same on one strain of Saccharomyces cerevisiae, which is more commonly known as baker’s yeast. That study was published by Brazilian researchers in 2004 (4). 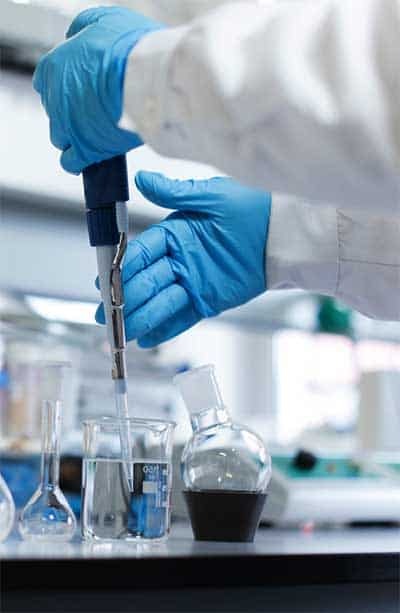 A year earlier in 2003, Italian researchers said “no mutagenic activity was found” when they tested on two strains of Salmonella typhimurium bacteria. In fact, they claimed that it seemed to protect against mutagenic activity (5). So in short, you have three Petri dish studies (or similar) looking at it. 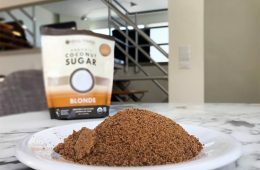 One says it is toxic against the DNA of some bacteria and baker’s yeast, while the other two studies praise it for having the opposite effect – protecting against mutagenic activity. Really this substance needs to be studied in humans, or at least cultured human cells, to provide more clarity as to its safety on the cellular level. 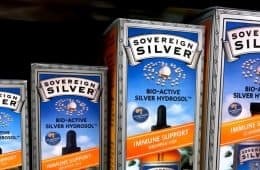 Though when you look at the bird’s eye view of side effects – those which would be obvious without a microscope – it does appear to be safe in the typical supplement dosages used, but without studies to confirm, there can’t be 100% certainty of that. The sap and taspine (an alkaloid in it) have been studied in the lab for their use against various types of cancer. 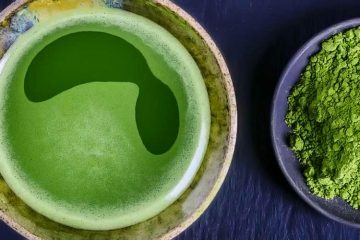 Using mice with tumors, the leaf extract was said to exhibit antitumor effects. The same study claimed it appears to “lack toxic effects against human normal cells” (7). 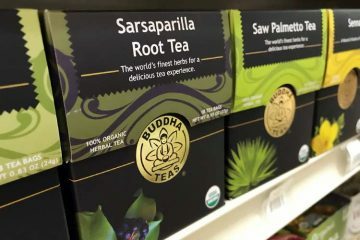 Not the leaf extract, but the taspines found in the traditional “Sangre de Drago” blood were said to inhibit cell proliferation involving cultured melanoma and colon cancer cell lines. 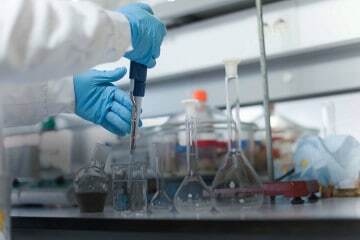 In that study, they said the findings supported researching it further “as a possible anticancer agent” (8). But then there’s research from 2006 where they tested the dragon blood against childhood leukemia cells in the lab. They said the leukemic cells “showed high resistance” to it and that “tested remedies stimulated survival of leukemic cells in 45%, 96%, and 83% cases, respectively” (9). In other words, it appeared to stimulate the survival of the leukemia cells rather than kill them! The word “remedies” was in reference to the 3 herbs they tested; Viscum album (mistletoe), Uncaria tomentosa (cat’s claw) and Croton lechleri. Those percentages quote correspond to these substances in the same order listed here. 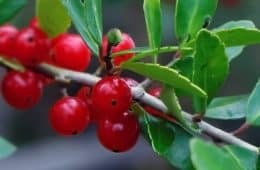 It’s interesting to note that derivatives of mistletoe extract have been used as a cancer treatment for over 50 years in Europe, but has never been approved for that use in the United States. Suzanne Somers alleges to have used mistletoe as part of her breast cancer treatment plan. Dried mistletoe is not edible because of phoratoxin it contains, which is a poison. 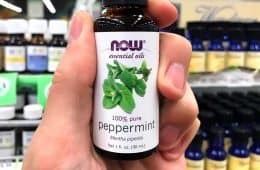 As a mouthwash or herbal toothpaste, some reviews report it helps for receding gums. However there have been no studies to evaluate it for that. Remember this is all preliminary research. No benefits are proven. Do not use it for any disease. Are the dragon’s blood saps a type of prohormone? That refers to a substance which is not a hormone, but a precursor to it. For example, DHEA supplements have been found to be a precursor to both testosterone and estrogen (estradiol) and their usage is actually banned in professional sports because of it. Within the past few years, dragon’s blood workout supplements have become quite popular. Users claim they support lean muscle growth. However despite its growing popularity for bodybuilding and the customer reviews claiming to have experienced benefits, there is no formal research which has been done to back the theory that it has a prohormone effect or is a testosterone booster. Likewise for the libido claims. In fact as a dietary supplement, it has not been studied for any claims, which means it remains unproven for all of them. For those of us who don’t have a Croton Lechleri tree in our backyard, can you recommend the best brand of Dragon’s Blood supplement available now? Thank you Mr. Saxena, for the kind recommendation. You are really living up to the meaning of your first name. I have already bought 2 bottles after I did some research online, although I’ve only used it topically, it has been quite the revelation. I always love obscure foods and ingredients. I think the way that Dragon’s Blood is so different must be part of the reason that it offers benefits. Personally, I hate the idea that some foods or ingredients are radically more powerful than others. I think that the reality is that we need to consume a wide variety to get the beneficial nutrients. That being said, adding in more obscure examples like what you have here certainly makes sense – and could offer more benefits than we would normally have access to. I always though Dragon’s Blood referred to the sap of ‘Dracaena cinnabari’ or the Dam al-Akhawain tree tree that grows on the Socotra Island?